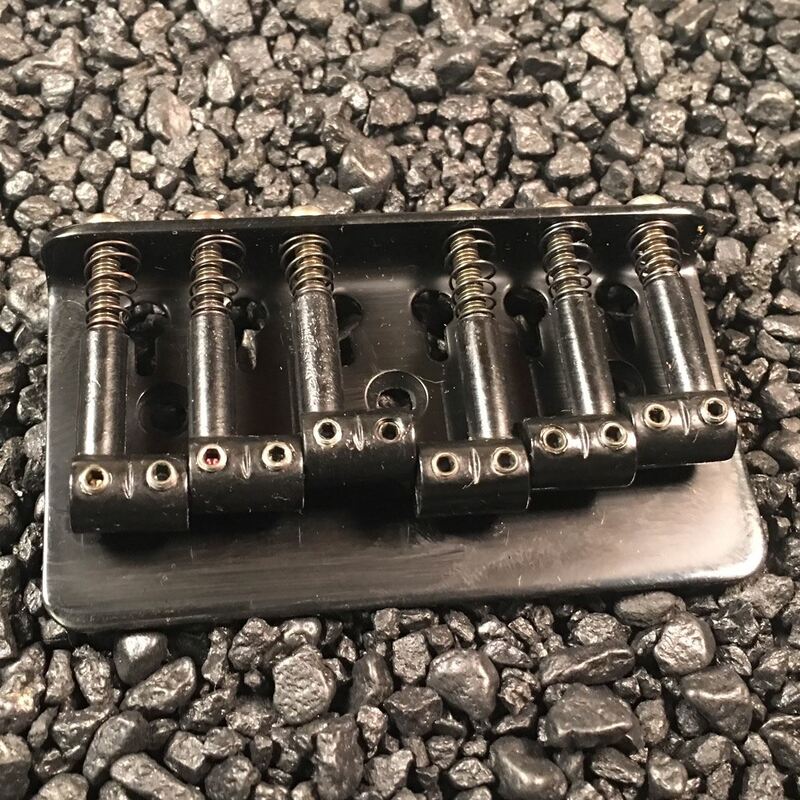 A nice , clean, top mount bridge that is great for guitar repair and building that allows you to either use thru-body stringing (with string ferrules on backside of body), or just surface mount without the string ferrules. 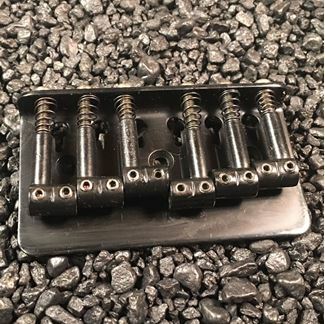 Surface mounting allows the ball end of the sting to be captured in "keyholes" in the bridge plate. String spacing is 2 & 3/16". Very nice black finish. This bridge is NOS....that means "new old stock", brand new and never "played". The bridge is approximately 30 years old and still in original wrapping. It was made in Japan in the late 80's which is considered by many to be the "Golden Age" of Japanese guitar building. This is not a "cheap" modern Chinese reproduction.